As I roll on to the next film in my 'Studio Ghibli' season I thought I'd have go to the other side of the spectrum for my next review. 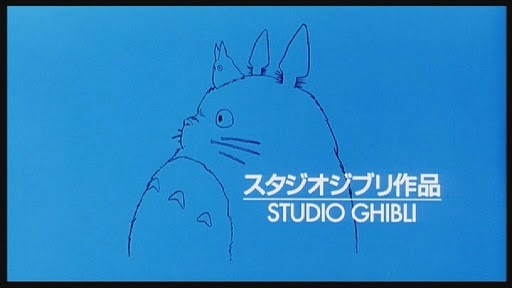 Last time around I gave you the super sweet, 'My Neighbour Totoro'. This time around I give you the ultra realistic 'Grave of the Fireflies'. This film is one of the most realistic depiction of WWII you are ever likely to see, and what makes it so profound and ground breaking is the fact that it is an animation. This film shows what happens to a family when everything is taken away from them, how they can fight for survival, how love can rally them and how pride can destroy you and everyone you hold dear. 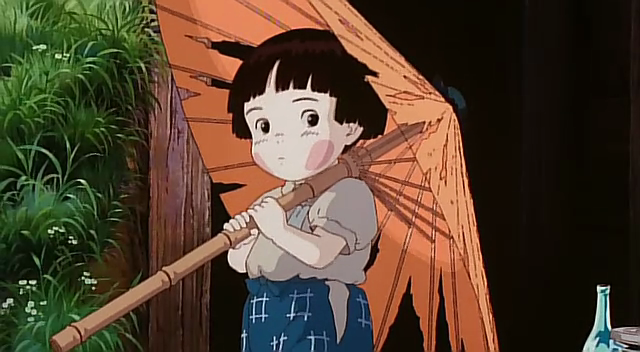 A young man, Seita has been given the responsibility to take care of his sister after their mother dies, he holds true to this and throughout this film we see the kind of decisions he makes to keep her safe. This film is uncompromising in it's depiction of WWII, Japan is now on the losing side of the war and we are thrust into the perspective of a young man trying to protect what little he has left. 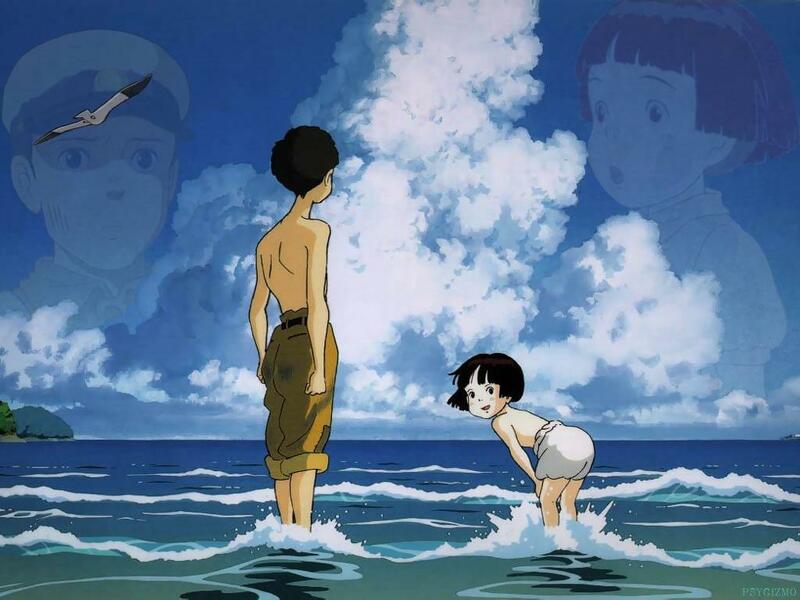 This was such a raw and passionate film, each scene between Seita and Setsuko oozed compassion. Seita is a real human being, not just a pretty picture with sound coming out, he has flaws, he makes mistakes and his pride gets in the way, it makes for a wonderful and interesting watch. 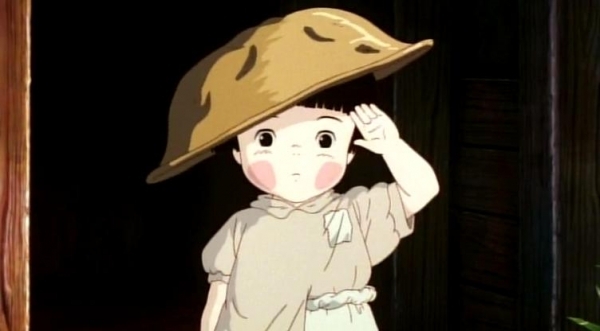 On the flip side of the coin we have Setsuko, a child, a tiny little girl who has no idea of the horror that is around her because her brother is shielding her from it with all he has got . She is an absolute joy to watch and I really respect Rhoda Chrosite as she brought such an innocence to a role that will stay with me for a very long time. A moment of pure innocence. With such a realistic film and such human characters I couldn't help but come out of this film and really begin to dissect every decision that the characters made and really begin to think about how it came to the ending it came to. I came out kind of angry, kind of regretful and very upset. If I was being completely honest there is nothing “bad” about this film other than the “bad” things that happen in it. This is a superb film, faultless, watch this film. Once and never ever watch it again, you'll understand after you have watched it.